Compact of Sorcerers member Ciarran D'Arbois will not let harm befall Clea. In her, he sees a strength he admires and a body he longs to caress. Yet demons are determined to break down the portal Ciarran has sworn to protect, using Clea as their key. Now as a rogue sorcerer leads the enemy ever closer, Ciarran and Clea have only one hope. Both must surrender to their darkest passions--and unleash their most dangerous, untested deisres. 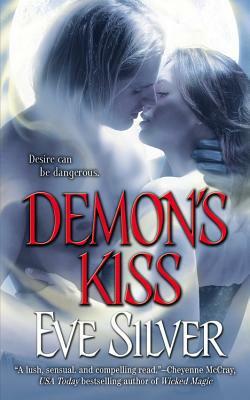 DEMON'S KISS--Which is more deadly, his passion or his power?